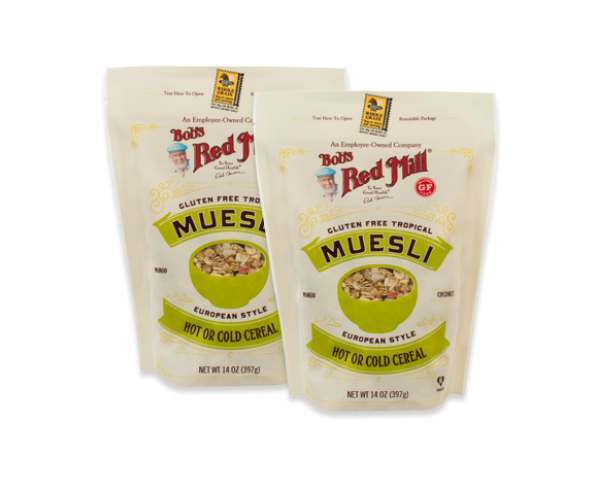 Rise and shine in a tropical state of mind with the new Bob’s Red Mill Gluten Free Tropical Muesli. With a delicious blend of gluten free grains with coconut flakes, real strawberry and mango pieces, pumpkin and sunflower seeds, and almonds and macadamia nuts, your family will love the medley of flavors in this breakfast staple. Low in sugar and high in whole grains and dietary fiber, this wholesome cereal can be enjoyed hot or cold, soaked overnight in yogurt, or splashed with juice or milk. You have a choice when you start your day, so choose simple, clean ingredients with superior taste from a brand you know and love. Find out more at momsmeet.